Truth in packaging was what you got with The Six Teens. The Los Angeles outfit was a sextet, expansive for the era and split right down the middle between boys and girls. And they were all in their teens, though remarkable lead singer Trudy Williams was only 12 when they formed in 1955. Pianist/baritone Ed Wells was the brains behind the group, writing most of their material. Wells assembled soprano Beverly Pecot, tenor Ken Sinclair, baritone Darryl Lewis, and sisters Trudy and alto Louise Williams, who came in last as a package deal (Louise named the group). Trudy's pipes weren't altogether unlike Frankie Lymon's, albeit seasoned with a maturity well beyond her tender years. Wells wangled an audition with Max Feirtag of locally based Flip Records. Feirtag took the sextet into Bunny Robyn's Master Recorders in early '56. Among the bounty was Wells' A Casual Look, a yearning ballad about a boy heading off to serve his country that showcased Trudy's alluring pipes (Sinclair hopped in on the bridge). Coupled with another Wells ballad, Teen Age Promise, A Casual Look came out in March of '56 and vaulted to #7 on 'Billboard's R&B 'Best Seller' list and made it to #25 pop. Clydie King, another talented L.A. youngster, covered A Casual Look for the Biharis' RPM logo as Little Clydie and The Teens. Later on, The Beach Boys would too. In July, The Six Teens encored on Flip with Send Me Flowers b/w Afar Into The Night, but the sextet was fated to be a one-hit wonder. 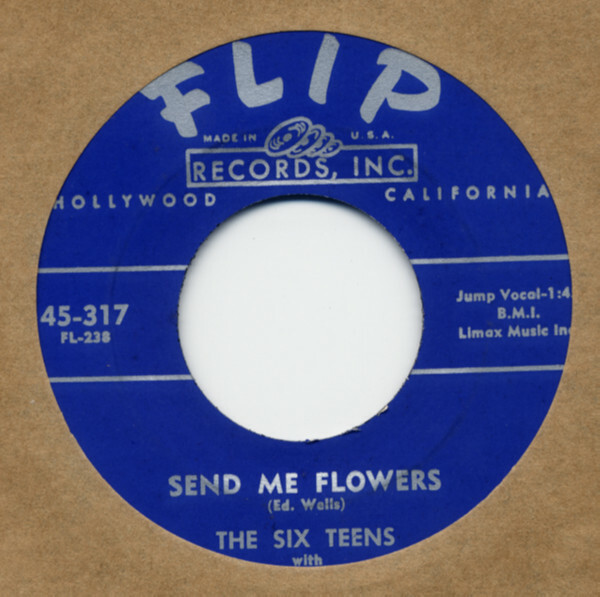 Flip released another nine singles by the group, extending into 1960. The plaintive Only Jim was their third offering, while Wells gave Trudy a chance to wrap her vocal cords around a piece of up-tempo material on Arrow Of Love, their next Flip single. Sinclair departed in mid-'58, replaced first by future Vibrations/Temptations tenor Ricky Owens and then Flip labelmate Jimmie Smith. 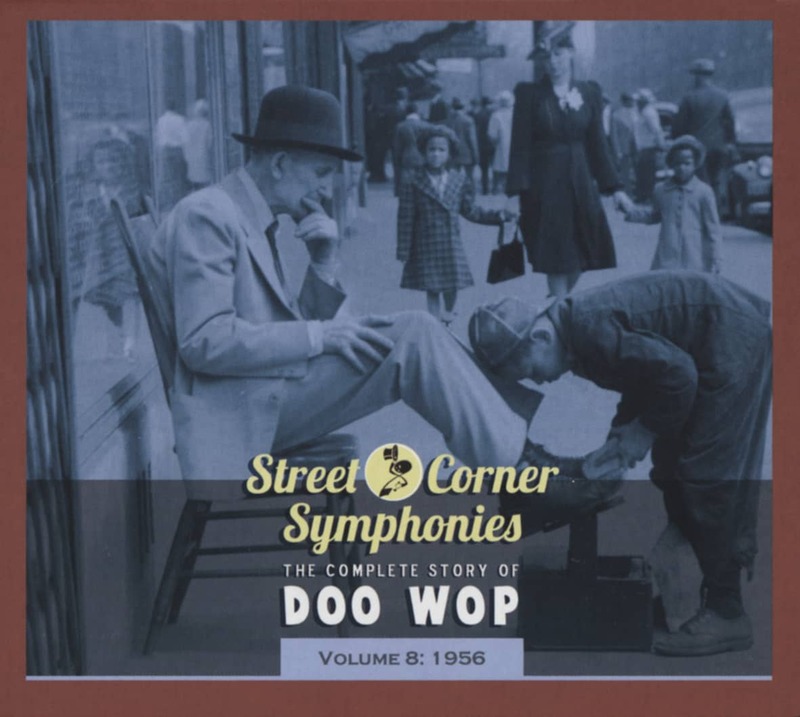 Though Wells didn't stick around for all that long after The Six Teens called it quits (one of his last efforts was a '62 duet with his sister for Flip, billed as Shank & Maydiea), Sinclair, Lewis, and Smith joined The Elgins, who made the soulful I Lost My Love In The Big City for Lummie Fowler's Lummtone imprint in 1963. Ken later found his way into The Olympics as well as The Bagdads, whose Bring Back Those Doo-Wopps for the Double Shot logo was a '68 throwback. Wells died of throat cancer on February 18, 2001; cancer claimed Sinclair on March 16, 2003. Kundenbewertungen für "Send Me Flowers b-w Afar Into The Night 7inch, 45rpm"